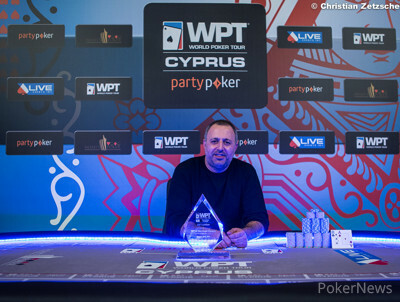 The World Poker Tour National festival at Noah's Ark Deluxe Hotel & Spa in Bafra, Cyprus, headed into its fifth day and one of the highlights of the tournament schedule was playing down to a winner in the €770 LEI Main Event that attracted a field of 150 entries and generated a prize pool of €100,485. That prize pool slightly eclipsed its guarantee and saw over €20,000 awarded to the winner. After two days, the field was whittled down to its final nine players, and it was Manig Loeser in the lead at that time. However, the German struggled very early on the final day and ultimately had to settle for eighth place. "Ah well, things like this happen," he briefly told PokerNews after his elimination and rather disappointing day at the office. The podium was set with three players from Turkey after five hours of play, with cash game specialist Mehmet Sinan Ogan bowing out in third after playing his fifth live tournament ever. After that elimination, Ates Hikmet and Serhat Cetiner agreed on an ICM deal, with Hikmet taking home the trophy and a first-place payout of €22,336. 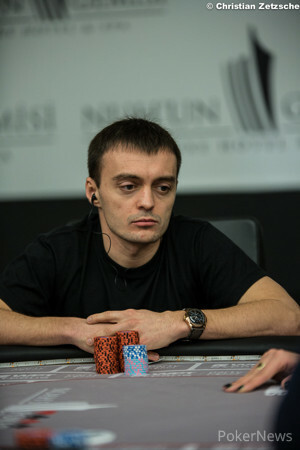 Yuri Kaganovich was the first player on the rail after half an hour of play. In a battle of the blinds, the Russian moved all in with the and Cetiner called with the . The board ran out , and Kaganovich was gone . Loeser then lost a massive preflop all in with the against the and was left very short. He doubled up once before failing to find another with the against the with an ace and seven on the flop. 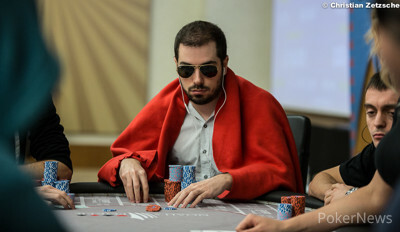 Marko Banovic experienced a similar fate on the table after losing a flip with the against the of Cetiner, and then falling the very next hand in seventh place. Sergey Minaev followed in sixth place after a three-bet pot preflop, when it was his on a flop of that was no good versus Ogan's . 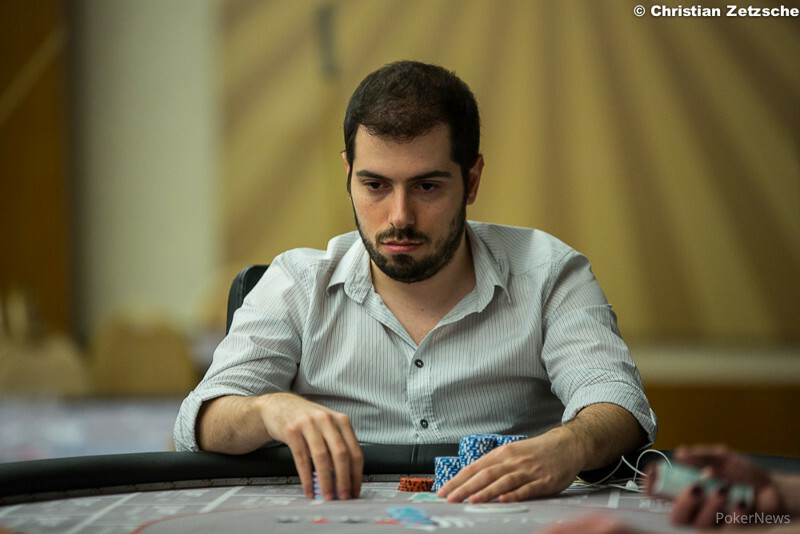 Fuat Tanindi started as one of the shortest stacks coming into the final day, and he laddered up all the way to fifth place. He even got it in ahead with the via a three-bet shove only to see Hikmet river a straight with the . Cetiner lost a flip to Ogan before doubling up with the against the of Yevgeniy Dudos to leave the Russian crippled. Dudos got his remaining chips in with the and Cetiner's as well as Hikmet's chopped up the pot on a king-high board. Down to the final three players, Ogan fell behind further and then failed to improve with the versus Hikmet's . After that, both remaining opponents called it a day a few minutes later without playing any further hands following an ICM-deal agreement, which is reflected in the payout table below. On Friday, Day 1a of the €2,000 partypoker WPT National Cyprus Main Event gets underway as of 1 p.m. local time, and the PokerNews Live Reporting team will be back on the floor to provide you with all the action. A recap of today's action as well as the winner shot will be online as soon as possible. The clock has been stopped and both players are currently checking the ICM numbers for a possible deal. Mehmet Sinan Ogan moved all in out of the small blind and Ates Hikmet let go before Ogan would do so again one hand later. This time, Hikmet made the call from the small blind and Serhat Cetiner folded. The board ran out and Ogan will be collecting €12,700 for his efforts shortly. The players have been sent on a 15-minute break, new chip counts will be available shortly. The last few hands saw a lot of all in moves by the two short stacks, but no showdown took place. Serhat Cetiner chipped up slightly whereas Mehmet Sinan Ogan fell behind. Then, Ates Hikmet raised to 75,000 from the small blind and Cetiner called from one seat over. Both players checked the flop and Cetiner bet 100,000 on the turn. Hikmet quickly raised to 225,000 and was called before the action was checked to him on the river. He grabbed lots of T-25,000 chips to almost put his opponent all in. Cetiner moved all in for 369,000 and Hikmet had to call off with . Cetiner turned over as winning hand and scored a crucial double up. Short stack Yevgeniy Dudos also had to give up his blinds as well and Ates Hikmet put pressure on Mehmet Sinan Ogan after a flop of . Ogan bet 75,000 and then quickly folded when Hikmet moved all in. One hand later, Dudos was all in for only 25,000 from the button and both Hikmet as well as Serhat Cetiner in the blinds called. The board was checked through and Dudos was sent to the rail with . Cetiner's and Hikmet's chopped up the pot.